Vanity Fair – For the Pixies, Cashing in Is the Right Thing to Do. It sounds damn good live too, thanks to an excellent sound setup and the songs themselves, which are as dynamic, colorful, and deliciously sinister as a David Lachapelle photograph. Having said all that, though, it’s hard to escape the conclusion that the Pixies, whose best-known members are rumored to not like each other very much, have been reunion-touring for the past five years for one overriding reason: to make money. Money that probably would have been beyond their wildest imaginings back in the late 80s and early 90s, when they were actually writing songs together and putting out albums. Not even screaming, weeping tweens possess this level of intimacy with their idols’ respective repertoires. It takes time to become this close to an album and, by extension, to an entire body of work. And if I’m right, then the young people I saw at last night’s concert won’t be the last generation to appreciate this music and hunger for a chance to see it performed for themselves. The Boston Globe – Pixies return to their ‘Doolittle’ days. Devoted fans of bands that have broken up are like casualties of divorce. They cherish the stories of the good times long after the fighting starts and the records stop. An album like “Doolittle’’ is proof that the good times were indeed good – really good. The Pixies recorded their second full-length album in 1989, and it is regarded as the Boston band’s crowning achievement, especially by zealous fans who still lurk on Pixies online forums and wear their “Come on Pilgrim’’ T-shirts long after they’ve faded to gray. A balancing act of melodic guitar and diabolical yelps, “Doolittle’’ solidified the place of the phrase “loud/quiet’’ in the rock ’n’ roll vernacular and exalted the Pixies as the godfathers of grunge. To commemorate the album’s 20th anniversary, the Pixies are touring again, playing all the songs from “Doolittle’’ and its B-sides in concert. The tour stops at the Wang tonight and tomorrow. “Doolittle’’ epitomizes the polarities that the Pixies are remembered for. The album is gruesome. 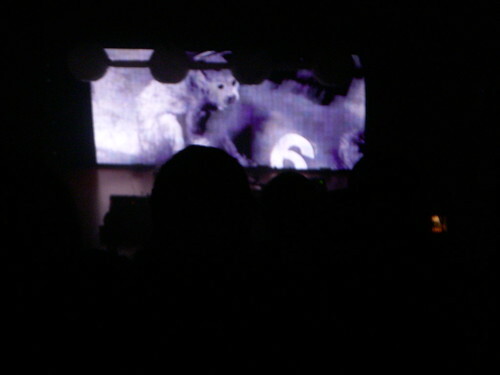 The opening track, “Debaser,’’ is about slicing eyeballs, and from there “Doolittle’’ only descends into apocalyptic lyricism, with songs about hell, blood, aliens, and AIDS. One of the most widely revered songs from the Pixies catalog, the uncharacteristically straightforward and jaunty “Here Comes Your Man,’’ is evidence of the stronghold that pop had on the band. The song is the fifth track on “Doolittle,’’ though it was written years before. Steve Albini, the audio engineer who recorded the Pixies’ first album, “Surfer Rosa,’’ successfully argued for keeping “Here Comes Your Man’’ off that album. But engineer Gil Norton, who worked on “Doolittle,’’ saw the song’s potential. “Here Comes Your Man’’ became one of the two singles that “Doolittle’’ produced. The other, “Monkey Gone to Heaven,’’ falls at the other end of the album’s spectrum, although the songs are separated by only one track. Full of demonic numerology and shrieking, “Monkey Gone to Heaven’’ encapsulates the dissonance and darkness of the Pixies, both musically and interpersonally. The Boston Globe – The Pixies party like it’s 1989. The full album concert concept that has become so popular in the past few years is on one level a gimmick to help juice catalog sales and draw out those less inclined to see a group they’ve already spent time and money on. But with a record as exhilarating and irresistible as “Doolittle,’’ it’s easy to understand the desire for both seminal alt-rockers the Pixies and their audience to want to party like it’s 1989. It felt appropriate that the University of Massachusetts-spawned group was hitting the Hub around homecoming because the 94-minute show – the first of two sold-out gigs at Citi Wang Theatre – felt like a reunion with old friends. A big, loud, dry-ice-infused, sense memory-generating reunion of sticky melodies and squalling guitars. Sure, everybody’s gained a few pounds and lost a few hairs, but the spirit was there, from David Lovering’s first crisp downbeat and Frank Black’s throat-shredding scream. Old-school fans and younger folks getting their first live taste of the group screamed right along to the outbursts from “Monkey Gone to Heaven’’ to “Dead.’’ The crowd bounced en masse to the rhythmic left turns of “Crackity Jones’’ and bopped to “Here Comes Your Man’’ with Black and bassist Kim Deal aptly replicating their metal and smoke harmonies. “Wave of Mutilation’’ got two spins, with the original coming in its spot and the whisper-smooth “UK Surf’’ flavor popping up in the encore. Deal, a propulsion machine throughout, was also the evening’s appointed tour guide, giving in-progress announcements — “we’re halfway through the first side’’ – accompanied by her goofy grin. Buzzed-about indie rocker Jay Reatard handled the evening’s warm-up duties. 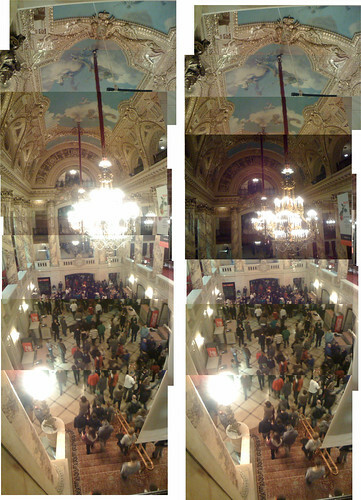 Chris Devers’s Posterous linkblog thingy – The Pixies play the Wang Center, Boston. 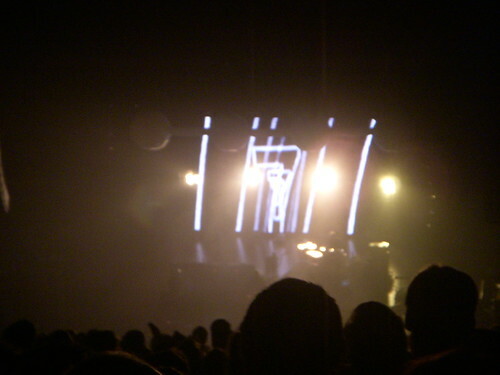 The Pixies played the album to perfection, which is to say most of the songs were nasty, brutish and short. Songs rarely went over the three-minute mark. Santiago’s noisy guitar squalls were essential, but there were surging pop hooks in ‘‘Here Comes Your Man’’ and surf-guitar licks splashed throughout. Deal’s high harmonies lent a tad of sweetness to Francis’ screams. After playing ‘‘Doolittle,’’ they encored with several more B-sides before nailing hits ‘‘Where Is My Mind?’’ and ‘‘Gigantic.’’ What accounts for the Pixies’ peculiar longevity? The band’s life after death, if you will? Perhaps it’s because life may be even more conflicted and tumultuous than it was two decades ago. 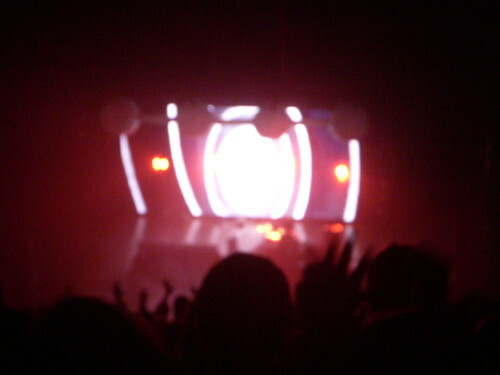 As such, the Pixies are, oddly enough, in step. True/Slant – Pricey Pixies Tickets, or Can Critics Complain About Concert Costs? …it’s hard to consider them anything but a cynical corporation cashing in on blatant nostalgia–a hipper version of Creedence Clearwater Revisited or Journey and whoever is singing with that group these days. Pixies defending aside, DeRogatis has a right to his opinion. After all, that’s his job. As any critic who has ever encountered the briefest whiff of resistance from diehard fans over the years can tell you, not everyone’s going to agree with what you write. And of course, this came in droves for the eight paragraphs DeRogatis wrote about The Pixies set. There were comments from fans who couldn’t believe DeRogatis would compare their beloved Pixies to Journey of all bands – Journey?!?! There were comments from fans who said DeRogatis was elitist and assuming the worst before setting foot in the Aragon. 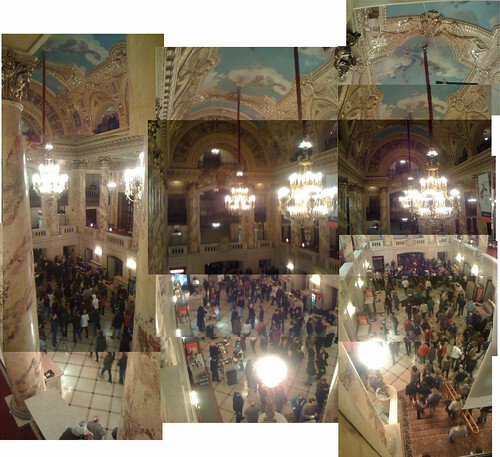 Flickr – The Pixies at the Wang Center in Boston, 27 November 2009. Kelly Has Thoughts – Pixies Pics! 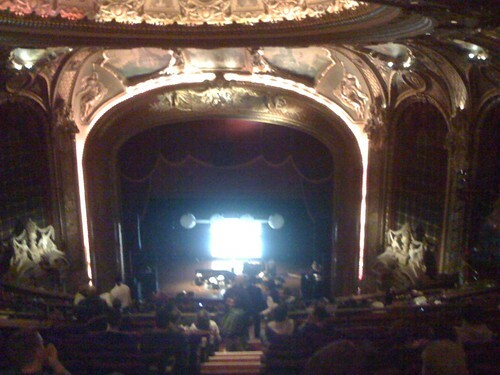 Flickr user sdowen: Pixies at the Wang Center in Boston – Nov. 27, 2009 — a set of photos from the second row, unlike my pictures from the last row of the top balcony. "This monkey’s gone to heaven." "If the devil is six…"